Italian fashion house Prada was founded by Mario Prada in 1913. In collaboration with his brother Martino, the pair opened a leathergoods and luggage store called Fratelli Prada (Prada Brothers) in Milan. Mario's daughter Luisa took over the business from her father, and in turn, her daughter Miuccia Prada, would take over for her in 1978. The company as we know it today has evolved under Miuccia Prada's direction. Prada's first totes and backpacks were introduced in 1979, eventually becoming best-sellers. The company expanded its market by placing its handbags in major retailers around the world and opening a second boutique in Milan. Shoes were added to the line in 1984, and Prada's first line of womenswear debuted in 1988. A womens' high-fashion line called Miu Miu (Miuccia's nickname) was introduced in 1992, and menswear was offered starting in 1993. A set of numbered Exclusive ""artisan fragrances"" was first offered by Prada at their boutiques and select department stores in 2003. 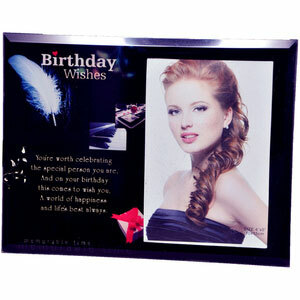 Each scent focused on a single noteâ€”Iris, Orange Flower, Tuberose, Violet, etc. Additions to this line were made again in 2007 and 2010. Prada's first mass market fragrance offering, Prada Eau de Parfum, was released in 2004. The Prada ""Ephemeral Infusion"" line, which highlighted some of the notes from the Prada Exclusive line and featured more costly ingredients, was introduced in 2007 with Infusion d'Iris. Prada fragrances are produced in conjunction with Puig. 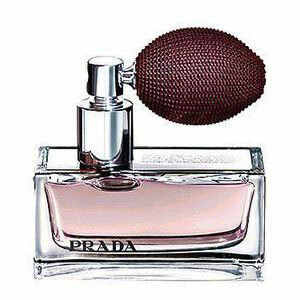 Designer Prada has 27 perfumes in our fragrance base. The earliest edition was created in 2003 and the newest is from 2012. Prada fragrances were made in collaboration with perfumers Daniela Roche-Andrier, Carlos Benaim, Max Gavarry, Clement Gavarry and Miuccia Prada.